Earlier this year I received a request from the Adams County Public Library, here in Indiana, for an egg. They are lucky enough to have papers related to Katherine Milhous in their library's collections and they even have an egg she made! Why is this egg-citing? 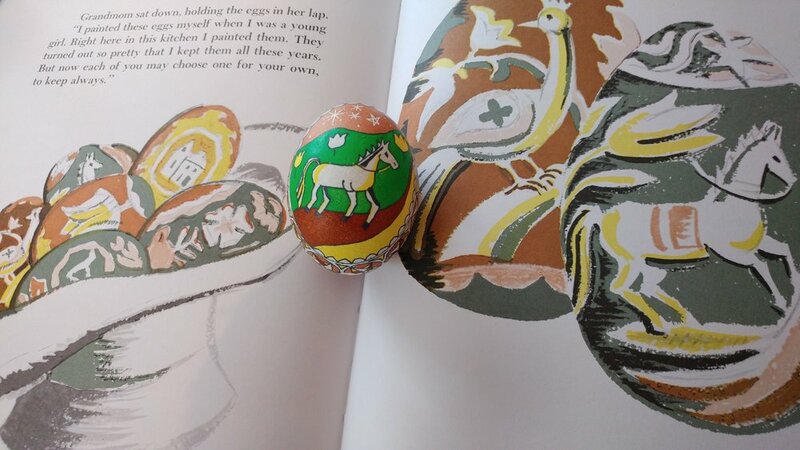 Well, because Katherine Milhous wrote the book, The Egg Tree, which you can read all about on my page dedicated to pysanky and children's books. 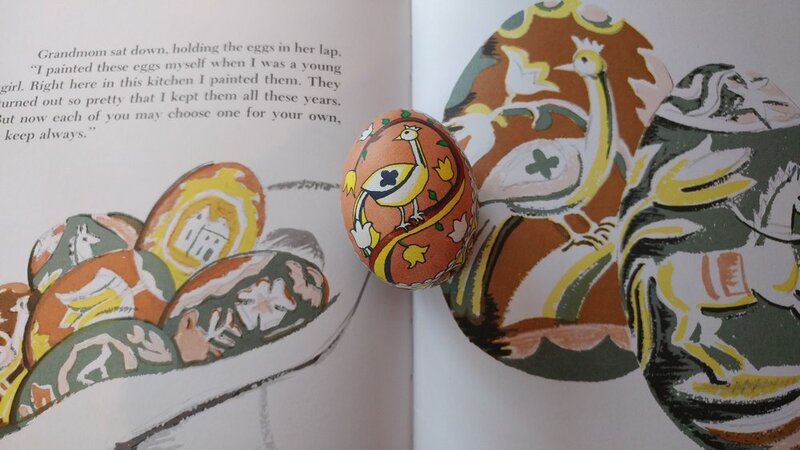 I was delighted to oblige and sent them this egg, based on the Milhous book. I think they were excited to receive it and they sent me these lovely pictures to show my egg in its new home, right next to the Milhous egg. The Egg Tree by Katherine Milhous, my egg, and her egg! 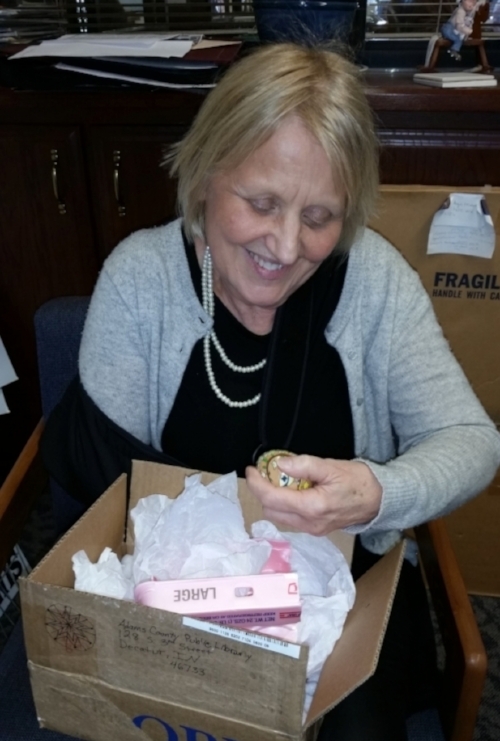 A staff member at the Adams County Public Library unpacking my egg. Eventually, I need to get over there to visit it!